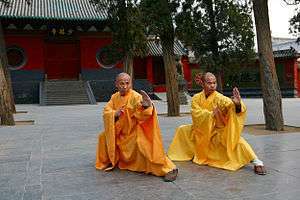 The Shaolin Monastery (Chinese: 少林寺; pinyin: Shàolín sì), also known as the Shaolin Temple, is a Chan ("Zen") Buddhist temple in Dengfeng County, Henan Province, China. Dating back 1,500 years when founded by Fang Lu-Hao, Shaolin Temple is the main temple of the Shaolin school of Buddhism to this day. The name refers to the forests of Shaoshi (少室; Shǎo Shì) mountain, one of the seven peaks of Song mountains. The first Shaolin Monastery abbot was Batuo (also called Fotuo or Buddhabhadra), a dhyāna master who came to China from India or from Greco-Buddhist Central Asia in 464 AD to spread Buddhist teachings. 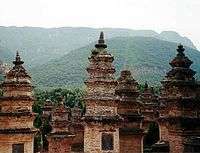 According to the Continued Biographies of Eminent Monks (645 AD) by Daoxuan, Shaolin Monastery was built on the north side of Shaoshi, the central peak of Mount Song, one of the Sacred Mountains of China, by Emperor Xiaowen of the Northern Wei dynasty in 477 AD, to accommodate the India master beside the capital Luoyang city. Yang Xuanzhi, in the Record of the Buddhist Monasteries of Luoyang (547 AD), and Li Xian, in the Ming Yitongzhi (1461), concur with Daoxuan's location and attribution. The Jiaqing Chongxiu Yitongzhi (1843) specifies that this monastery, located in the province of Henan, was built in the 20th year of the Taihe era of the Northern Wei dynasty, that is, the monastery was built in 495 AD. The Kangxi Emperor of the Qing dynasty was a supporter of Shaolin Temple, and he wrote the calligraphic inscriptions that still hang over the Heavenly King Hall and the Buddha Hall today. 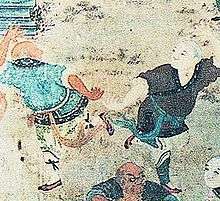 Other scholars see an earlier connection between Da Mo and the Shaolin Monastery. Scholars generally accept the historicity of Da Mo (Bodhidharma) who arrived in China around 480. Da Mo (Bodhidharma) and his disciples are said to have lived a spot about a mile from the Shaolin Temple that is now a small nunnery. In the 6th century, around 547, The Record of the Buddhist Monasteries says Da Mo visited the area near Mount Song. In 645 The Continuation of the Biographies of Eminent Monks describes him as being active in the Mount Song region. Around 710 Da Mo is identified specifically with the Shaolin Temple (Precious Record of Dharma's Transmission or Chuanfa Baoji)  and writes of his sitting facing a wall in meditation for many years. It also speaks of Huikes many trials in his efforts to receive instruction from Da Mo. In the 11th century a (1004) work embellishes Da Mo legends with great detail. A stele inscription at the Shaolin Monastery dated 728 reveals Da Mo residing on Mount Song. Another stele in 798 speaks of Huike seeking instruction from Da Mo. Another engraving dated 1209 depicts the barefoot saint holding a shoe according to the ancient legend of Da Mo. A plethora of 13th- and 14th-century steles feature Da Mo in Various roles. One 13th-century image shows him riding a fragile stalk across the Yangtze River. In 1125 a special temple was constructed in his honor at the Shaolin Monastery. According to legend, during the Tang dynasty, Emperor Taizong granted the Shaolin Temple extra land and special "imperial dispensation" to eat meat, and drink, which would make Shaolin the only temple in China that did not prohibit alcohol, although this practice has ceased today. This legend is not corroborated in any period documents, such as the Shaolin Stele erected in 728. 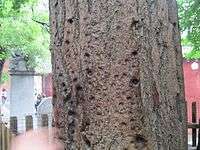 The stele does not list any such imperial dispensation as reward for the monks' assistance during the campaign against Wang Shichong, only land and a water mill are granted. In the past, many have tried to capitalise on Shaolin Monastery fame by building their own schools on Mount Song. 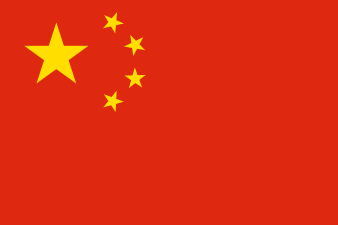 However, the Chinese government eventually outlawed this; the schools were moved to the nearby towns. A dharma gathering was held from August 19 to August 20, 1999, in Shaolin Monastery for Shi Yongxin's assumption of office as abbot. In March 2006, Russian President Vladimir Putin became the first foreign leader to visit the monastery. In 2007, the Chinese government partially lifted the 300-year ban of the Jieba. The Jieba is the ancient ceremony of the nine marks, which are burned onto the head with sticks of incense. The ban was partially lifted only for those who were mentally and physically prepared to participate in the tradition. West Arrival Hall (西来堂; xi lai tang) aka Kung fu Hall (锤谱堂; chui pu tang) (built 1984). Heavenly Kings (Devaraja) Palace Hall (天王殿; tian wang dian) (built in Yuan dynasty; repaired in Ming,Qing dynasties). Mahavira Palace Hall (大雄宝殿; da xiong bao dian) aka Main Hall or Great Hall (built maybe 1169; reconstructed 1985). Dharma (Sermon) Hall (法堂; fa tang) aka Scripture Room (藏经阁; zang jing ge): (reconstructed 1993). Standing in Snow Pavilion (立雪亭; li xue ting) aka Bodhidharma Bower (达摩庭; da mo ting): (reconstructed 1983). White Robe (Avalokitesvara) Palace Hall (白衣殿; bai yi (Guan yin) dian) aka Kung fu Hall (quan pu dian) (built in Qing dynasty). 1000 Buddha Palace Hall (千佛殿; qian fo dian) aka Pilu Pavilion (毗庐阁; pi lu ge): (built 1588; repaired 1639,1776). 1 2 Lin 1996, p. 183. ↑ Bishop, Mark (1989). Okinawan Karate: Teachers, Styles and Secret Techniques. A&C Black, London. ISBN 0-7136-5666-2. ↑ Leff, Norman. Martial Arts Legends (magazine). "Atemi Waza", CFW Enterprises, April 1999. 1 2 3 Gene Ching. Kungfumagazine.com, Bak Sil Lum vs. Shaolin Temple. ↑ Polly, Matthew. American Shaolin: Flying Kicks, Buddhist Monks, and the Legend of Iron Crotch: An Odyssey in the New China Gotham Books, 2007, Page 37; Google Books, Accessed November 7, 2010. ↑ Jiang Yuxia. Xinhuanet.com, Luxurious toilets debut in Shaolin Temple. Xinhua. 8 April 2008.